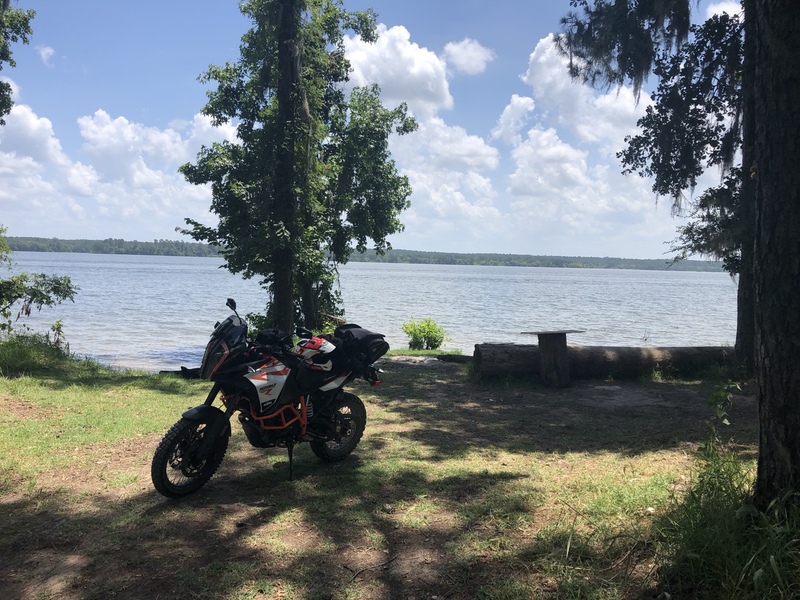 Its too hot to be around Houston right now but once it cools off a bit Ill be riding locally more often. Nice bike. Almost bought the 1290. I really enjoy the dirt so I went with the 1090 for the lighter weight. Yeah definitely HOT for sure, but I'm use to riding motocross and sweating bullets, so ADV riding doesn't seem too bad. Hit me up next time you go out riding locally. You might want to check out Two Wheeled Texans. More adventure riding oriented. I think Adam made a love connection. Get some. I got this recently. Its an adventure trying to get it up to 55mph. But it likes dirt. I'll be on the golf course Saturday. Lots of good information on ADV, only problem is most of it is directed toward the Austin/Hill Country crowd. I was hoping to find something a bit more local. Well 90% of good Adv riding in Texas is in that area so makes sense. But search more and you'll find SHNF, Cheeseburger, Piney Woods, Fayetteville, etc. Adv rides also. But even those are typically 60+ miles from Houston to the start. But this is Adv riding and on a bigger bike miles are nothing. Plenty of times I leave the house early, ride 150 miles to ride start in Austin, ride all day with group and then ride 150 back home.